For preppers, it’s the ultimate end game: surviving the eruption of Yellowstone’s super volcano. While some folk worry about an asteroid strike bringing about the end of the world as we know it, as scientists say it did for the dinosaurs 65 million years ago, North America is actually sitting on its own extinction-level event waiting to happen. Russell stresses that such super eruptions are extremely rare — the last one happened before human civilization — but that they can and do happen, and Yellowstone, in Yellowstone National Park in Wyoming, is an active field that has seen three massive eruptions. He compares Yellowstone to Mount St. Helens in Washington state in 1980. Russell points out that two feet of ash from the Crater Lake eruption in Oregon 7,700 years ago can be found in Oliver, B.C., and in the banks of the Bow River in Calgary. He says if Yellowstone cuts loose, the southern Canadian prairies could get covered in many feet of ash, and the American states closest to Yellowstone would be smothered with an even thicker layer of the sterile rock powder, killing off livestock and leaving them unable to grow food. Yellowstone’s volcano doesn’t have the classic menacing cone shape, so many people don’t know that a magma chamber bigger than New York City lies beneath the steaming surface. 640,000 years ago, animals similar to elephants, rhinoceroses and zebras roamed the plains of the United States when Yellowstone blew — and it took out the animals and every other living thing that couldn’t fly away from the blast. Scientists estimate Yellowstone’s volcano explodes every 600,000 to 700,000, and some say the time could be coming for another eruption. If it blows, the chances of survival sound bleak, but that’s not stopping some survivalists from preparing. Charles was a paramedic on 9/11 and saw thousands of people struggling to breath through the toxic dust. He has special dust and ash filters for his gas mask in case of another NYC disaster, or if Yellowstone blows. Charles has a one-year supply of food for his family, including his wife and four children. Meal-ready-to-eats (MREs), canned pasta and lots of canned fruit are stuffed into his apartment and his storage locker. He prepares for all sorts of disasters because he says no one should depend on the government to save them. Jake Lowenstern, a geologist with the U.S. Geological Survey, is the guy in charge of the Yellowstone volcano observatory. “Worst-case scenario, a super eruption is a thousand cubic kilometres of material gets sent out of the magma chamber. When that happens it’s going to send out a lot of ash, and it circles the globe and changes the climate for years, drops the temperature for a few years,” Lowenstern said. He said while a super eruption is highly unlikely, and even if it does happen not many would survive, it doesn’t hurt to prep. — Archeologists say human beings barely survived the last super eruption on Earth. 74,000 years ago, Toba blew up on the Island of Sumatra. It cloaked the planet in sulphur, reducing the temperature by 20 degrees, wiping out growing seasons with snow cover nearly all year and causing mass starvation. Geneticists say the disaster reduced the human population to as few as 1000 people, thus causing the genetic similarity between individuals which is traced to the same time period. — A volcanic eruption has been blamed for plunging civilization into the Dark Ages and triggering the bubonic plague. In his book Catastrophe, archeological journalist David Keys pinpoints a Krakatoa explosion in 535 AD. He says with the power of two billion Hiroshima bombs it darkened the sky and caused drought and flooding all around the world, including in Northeast Africa, which led to a bumper crop of rodents that passed their infected fleas onto rats and mice on European ships docked for trade off of southern Egypt, beginning the spread of the plague of Justinian. — In 1815, the Tambora volcano erupted in the East Indies. Global temperatures dropped. Europeans and North Americans called it a “year without summer.” Snow fell in New York in June. Frost was recorded in each of the summer months and crops failed. 200,000 people died in Eastern and southern Europe from starvation and typhus. — In 1783, Iceland’s Laki Volcano erupted. 9,000 people died in Iceland and thousands more died around the world from crop failure, disease and starvation. Temperatures dropped 13 degrees Celsius. — Mount Pinatubo erupted in 1991 in the Philippines, a comparably small explosion, ejecting 20 million tonnes of sulphur. Scientists say it reduced global temperatures by about 2 degrees. Here’s what it takes to make a deadly virus transmissible through the air: as few as five genetic mutations, according to a new study. In January, the National Science Advisory Board for Biosecurity recommended that this research be published without “methods or details” that terrorists might be able to use for biological weapons. The board also said the data could assist in preparing for a possible future outbreak, however. Then in February, the World Health Organization convened a meeting, at which the recommendation was to publish the studies – just not yet. In April, the National Institutes of Health chimed in, also recommending publication. The first study to be published on the topic was in the journal Nature, and was led by the University of Wisconsin-Madison researcher Yoshihiro Kawaoka. It was released in May. The other research group, which authored the new study in Science, was led by Ron Fouchier at the Erasmus Medical Center in Rotterdam, Netherlands. Both Kawaoka and Fouchier’s groups created a mutated version of H5N1 that made it easier to transmit from mammal to mammal. They used ferrets because these animals are a good approximation for how viruses behave in humans. Fouchier’s study examines what mutations would be necessary to get the virus airborne. He and colleagues found five mutations consistent in a form of the H5N1 flu virus that could spread among ferrets through the air. None of the ferrets died after developing the flu, the researchers said. In a separate analysis, researchers looked at the likelihood that an airborne avian flu virus would evolve on its own from the H5N1 currently found in nature. This study, also published in Science this week, looked at nearly 4,000 strains of influenza virus and frequently found two of the five mutations that appear to be involved in airborne transmission. These two mutations have been found in viruses from both birds and humans, although not in naturally-occurring H5N1 strains. Derek Smith of the University of Cambridge, who co-authored that study, said at a press briefing that it’s possible that only three mutations are necessary for the virus to evolve. Smith’s group also did mathematical modeling to look at whether the other mutations could evolve when the bird flu jumps to a human or other mammal. “We find that it is possible for such a virus to evolve three mutations within a single host,” Smith said during the press call. If it takes four for five mutations to become airborne, that would be more difficult – but it’s unclear just how likely it would be, Smith said. While the Nature study looked at how a bird flu virus could become airborne through mutations and re-assortment with other viruses, the latest research in Science suggests mutations alone could do the trick. Dr. Anthony Fauci, director of the National Institute of Allergy and Infectious Diseases, told reporters that the benefits from the Science study, in terms stimulating ideas and pursuing ways to understand the transmissibility, adaptability and pathogenesis of the virus, outweigh the risks that someone will use the data for nefarious purposes. that there’s no risk. But the benefits in my mind outweigh the risks,” he said. Making the research available generally will hopefully spark input on this topic from researchers in a wide variety of fields, he said. It is technologically possible to create vaccine based on the genetic code of a flu virus strain including this one, researchers said. Several companies are already making H5N1 vaccines. Research is ongoing to accelerate the amount of vaccine doses available by using adjuvants, which are agents that modify the effects of vaccines, Fauci said. There is also work ongoing into using computational sequencing to anticipate every possible influenza strain that could emerge, such that a databank could be established to prepare for the outbreak of any one of them, he said. “Right now we’re in a much, much better position than we were when we had vaccine available after the peak of the 2009 H1N1 two years ago,” Fauci said. With 5.3 million extra tourists arriving for the Olympics, the risk of avian flu and other pandemics arriving in the UK has greatly increased. But back in December 2005, the Lords Select Committee on Science and Technology said the country was not ready to defend itself against an avian flu pandemic. Have things changed since? 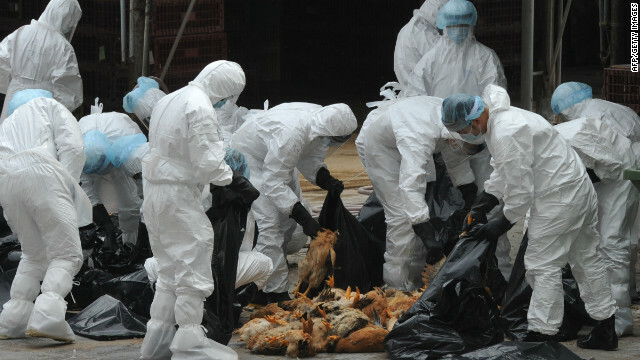 According to Dr Doug Quarry, medical director of International SOS Pandemic Planning Services, the spread of the H5N1 virus is not the only issue – new strains have developed, too. Has preparedness kept up to date with the risk, or are we becoming dangerously complacent? Globally, government preparedness varies widely. But overall, in terms of healthcare, preparedness has certainly improved. Major vaccine manufacturers ramped up their capabilities in 2006 and the UK government stockpiled 16,000 doses of Pandemix. In fact, now the political issue is whether the UK government has bought too much vaccine and paid too high a price. The government also put a detailed pandemic strategy in place, which was overhauled in 2011. However, while this covers NHS and social services preparedness in detail, it’s pretty vague on how businesses will cope. Generally, it foresees ‘business as usual’; borders won’t be closed, nor will schools, and while events organisers ‘may prefer’ to cancel major events, there will be no government compulsion. Unfortunately, that throws the entire burden for preparedness on to individual businesses. And the Association of British Insurers says business interruption policies are unlikely to cover closures as a result of an influenza epidemic. In terms of medical preparedness, a number of businesses are now stockpiling antivirals for key staff and their families. But that’s only the tip of a very large iceberg. Bird flu or swine flu here and in the rest of the world could have a major impact on businesses in many different areas of operations. Logistics is an obvious area where business continuity plans will be vital. Even if the UK itself isn’t affected, companies that import supplies or outsource parts of their business process are at risk from outbreaks in other countries. British business is now highly dependent on the Far East for its components and sub-assemblies. Call centres in other countries could also be badly affected. Continuity plans need to enable a speedy response. Australia declared it would close its borders within two hours in the event of a bird-flu pandemic – that would give businesses little time to prepare. Many companies are handicapped by lack of detailed knowledge of their own supply chains. For instance, multiple sourcing won’t help if suppliers all depend on a single crop or base component manufacturer. Service Level Agreements should help guarantee supply, but strategic stockpiling may be necessary. Within the UK, cash handling and postal services are likely to prove bottlenecks – cash handling was one of the concerns arising from the FSA’s market-wide exercise in 2006. Neither banks nor the Post Office are on the government’s list of Category 2 responders, although arguably they are as vital to the smooth running of the nation as the railways or ports. Smaller bank branches could have to close if staff are sick, leaving some areas without banking facilities and ATM top-ups depend on transport, which could be knocked out early in a pandemic. Businesses will also rely on telecoms and so network resilience is a major issue. While telecoms companies (both fixed and mobile) are listed as Category 2 responders, facilities will be stretched, particularly where companies have told staff to work from home. Government advice appears to understate the risks to business. The 2011 UK Influenza Preparedness Strategy sees the worst-case scenario as flu affecting 50 per cent of the population, with 15 to 20 per cent of staff absent on any single day, and mortality rates of 2 to 5 per cent. However, the 2006 FSA market-wide exercise modelled staff absence as high as a 60 per cent peak in some business units. Businesses with a high proportion of female, particularly part-time, staff also need to assess the likelihood of staff who are not ill having to look after children if schools close. Meijer points out that most business systems aren’t yet able to offer staff absence data in a form that’s useful in stress situations. “Absenteeism monitoring is crucial and not many companies have it on a day-to-day basis, so you could say with one push on the button, who is available where.” This is one area where, compared to the sophisticated systems with which many supply chains are run, human resources scores relatively low. Fortunately, one area that has advanced a good deal recently has been the availability of good information. National media will generally not report in detail on the situation in other countries – affecting the supply chain – while some governments may downplay the situation in order to avoid panic. There are no government plans for a business-orientated information service, so all public information will be consumer focused and therefore of limited utility to the business manager. Fortunately, a wide range of information products is now available. For instance, International SOS reports include the ascertaining of medical suppliers and reports monitoring government response. One question divides experts: how bad can a pandemic get? At worst, some believe, most of the transport infrastructure might be shut down, telecoms would be badly impacted by lack of maintenance and high usage, and there could be public order problems if the supply of food and other basic items is interrupted. In the face of a social breakdown of that order, there might seem to be no point planning. It’s difficult to judge business preparedness, since many businesses won’t talk about their preparations. Most companies do now have pandemic plans as part of their business continuity framework, but those plans may not have been revisited for several years. Perhaps they should be. There’s a huge impact on the work of facilities managers. A plan needs to be put in place for managing the consequences of a pandemic – checking sanitation and air quality, handling high absenteeism and planning for interruption to basic services and to transport. Basic cleaning services should be stepped up – that might mean cleaning lift buttons, door handles, ATM machines and check-in desks as often as hourly. That means increasing the level of service at the same time as managing a staff shortage – not an easy task. Cross-training staff so that they can step in to replace staff who are absent will be vital – particularly where remote working is not a possibility. In some cases, upgrading systems to allow for remote operation could be a good investment. Some facilities may need to implement perimeter protection, possibly including thermal scanners (which can detect if someone has a fever) or even DNA testing. New procedures for deliveries may be required to prevent drivers from entering the building – dropping off the deliveries in a secure car park, for instance. Where security is provided by a contractor, common policies and procedures need to be developed with them, including where staff are not admitted, what to do next (send them home? To hospital?) and who to notify within the organisation. Facilities managers also need to ensure that subcontractors and suppliers have plans to deal with a pandemic. Unlike many disasters, a pandemic will be a sustained event, probably lasting eight to 14 weeks, so planning needs to take that into account. For instance, stocks of critical supplies may need to be built up. Tenant relations and contracts also need to be put under the microscope. If the government or a tenant closes a building, how can you continue to manage it? Are you going to be required – and are you going to be able – to provide emergency relocation for the tenant? However, while the pandemic threat does have some special characteristics, developing a specific pandemic plan could be a waste of effort. Rather, pandemic plans should be developed within the framework of overall continuity plans. The most worrying gap is the absence of government involvement in assuring the regular supply of basic goods. Booz Allen Hamilton noted back in 2006 that government needs to assurethe ‘last mile’ – but the 2011 strategy still doesn’t seem to have taken any notice. Is reliance on the private sector, without compulsion or assistance, a responsible government strategy?